We are inviting applications for this replacement post to meet our increasing demand for Hepatology services within Shropshire. We are looking for an enthusiastic and motivated colleague to help develop liver services to provide the highest quality of care for all patients with liver disease. The department has an established liver service providing in and out-patient services, a viral hepatitis service, prison in-reach, alcohol liaison team, fibroscan clinic, nurse-led clinics and Hepatology research. The post will integrate with the current specialities offered by the existing Gastroenterology team, which include: inflammatory bowel disease, nutrition, GI physiology, bowel screening, EUS, ERCP and colonic EMR. Applicants must possess recognised training and broad experience in Gastroenterology and General (Internal) Medicine and full registration with the GMC. Applicants must be on the GMC’s Specialist Register, or be within 6 months of achieving CCT in Gastroenterology and General (Internal) Medicine. The Department is currently made up of 9 Consultants (including 1 locum). 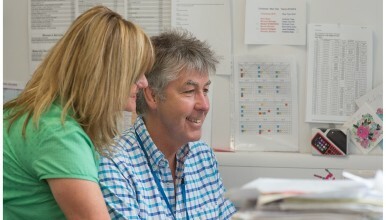 The team is supported by specialist nurses in upper GI cancer, endoscopy, viral hepatitis, bowel screening, IBD, research as well as a junior medical team including 3 specialist trainees. We have two JAG accredited endoscopy units at the Royal Shrewsbury and Princess Royal Hospitals. We provide outpatient and endoscopy services in both hospitals. The majority of gastroenterology inpatients are at the Shrewsbury site co-located with surgery. Currently the Gastroenterologists also care for patients on a single ward at the Telford site though it is anticipated that with requirements for GI bleeding co-location and Trust priorities for reconfiguration that there will shortly be a single ward based at the Shrewsbury site. Out of hours activity for consultants is limited to endoscopy and review of specific Gastroenterology inpatients at weekends with no contribution to the acute medical take. It is a particularly exciting time to join the Trust as we have recently started working collaboratively with the Virginia Mason Hospital in Seattle. We are one of only 5 UK hospitals to receive this support, from what is regarded as the safest hospital in the world. This collaboration means employees can benefit from the KPO (Kaizen Promotion Office) and value Stream work, gaining valuable help and guidance regardless of your level of expertise. It poses a unique opportunity to make a difference and we hope you will want to be a part of our journey. More about this can be found under further links.